thanks for that disclaimer. I think some people don't realize this. 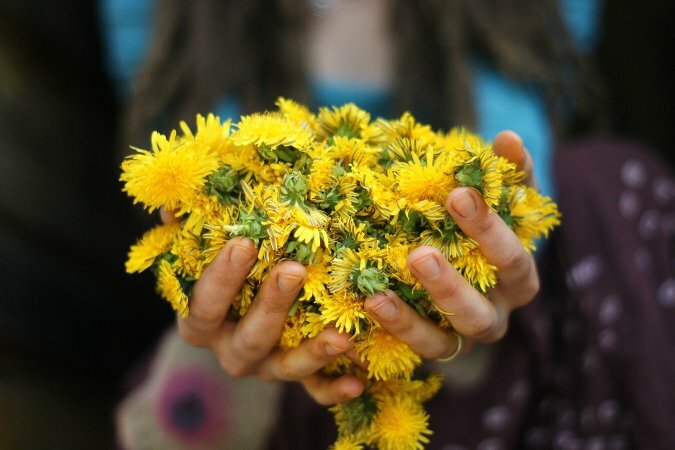 What makes dandelions so great is that they pull all kinds of minerals and goodies from the soil. including heavy metals etc.. Unfortunately, our yard is contaminated with lead, we live in an older urban neighborhood, and we can't eat our dandelions. i wonder how they taste. i like what they can help with...sounds tempting in a way. have you tried any of these recipes? I haven't been on your blog in WAY too long. it looks great. love what yo have done to it. I remember reading somewhere about dandelion tea! thanks for the info! Funny you just posted this...I just sat down to the computer with my newly blended, spinach, green apple and dandelion smoothy. It's delicious, btw!